I purchased this palette as it looks so similar to the super hyped up Too Faced Sweet Peach Palette that is limited edition. I saw the palette in Sephora but it just didn't look that fantastic. I don't see why everyone is crazy over it. It seems a bit gimmicky to me. 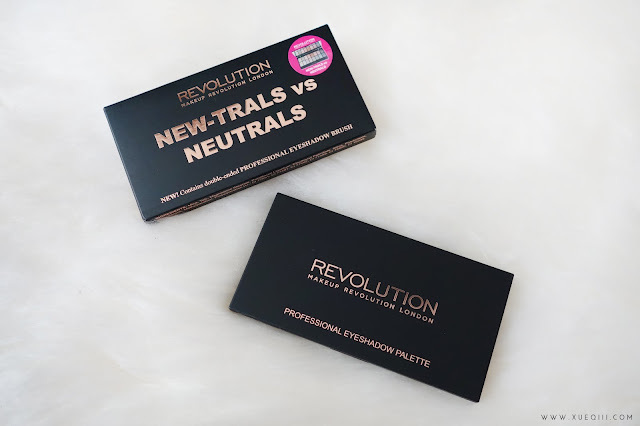 EmilyNoel mentioned in her recent video that this is a possible dupe for that palette and I do see the pop of reds and peachy shades in this Makeup Revolution New-Trals vs Neutrals Palette. In fact, I prefer this over the Too Faced one. 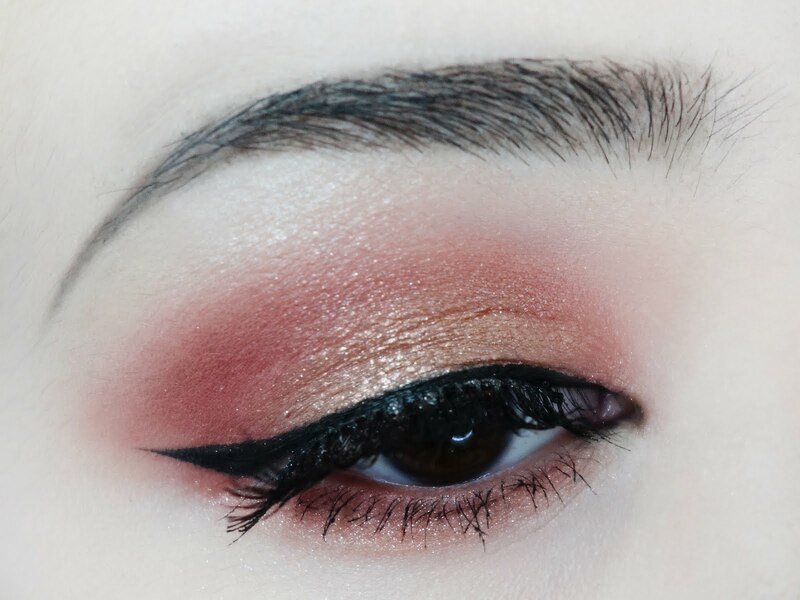 I have done a peachy golden eye look with the palette here. I really love how the look turned out. The palette came in a nice cardboard packaging with their signature metallic rose gold writings. The palette itself, unlike their other reflective plastic casing, this came in a nice matte cover. Like all their other palettes, this 16 eyeshadow palette comes with a large size mirror as well. Instead of the cheap looking duo ended sponges, this came with a double ended brush. 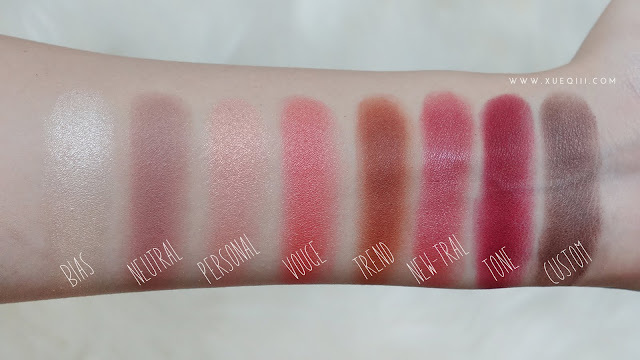 However, the shade names are still all printed on a transparent plastic - really hope they can start printing names on the palette though. I would probably just misplace the plastic sheet sooner or later. One side for packing on colour. 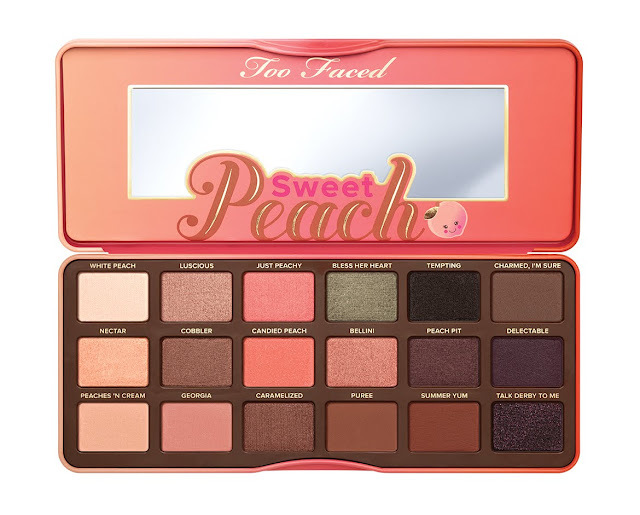 You can really pick up on some similar tones and shades in this palette and the Too Faced one. The top New-Trals row has more peachy and red shades that's similar to the Sweet Peach Palette. Bias is a shimmery champagne light gold shade. 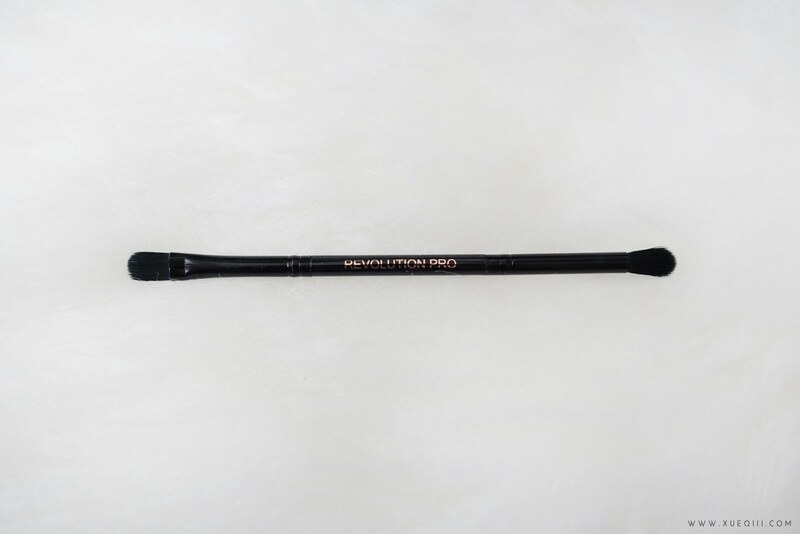 This is a perfect brow bone and inner corner highlight. Goes on very pretty with a nice sheen and not glittery at all. Neutral is a matte cool dusty brown with a hint of purple undertone. I really like this in the crease as a blending shade. The quality of this matte shade is really nice - goes on very smooth and blends out like a dream, not chalky at all. Personal is a shimmery pink. This is quite sheer and the colour payoff is not that fantastic as compared to the other shades. I had to do a few layers to get the colour to show. You definitely need a primer underneath or wet the shadow. Vouge is a bright peachy coral pink with a sheen. 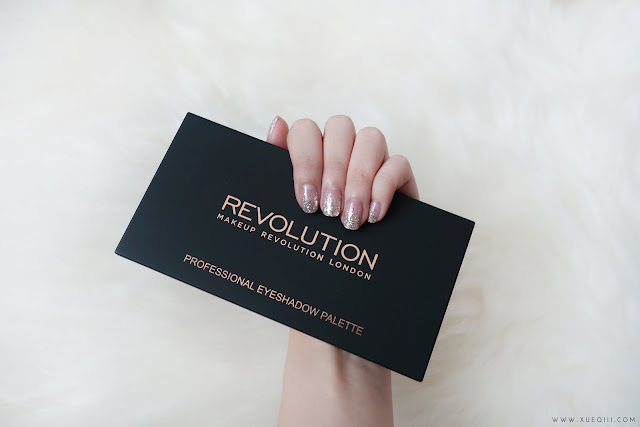 This shade is pigmented and easy to apply. Trend is a matte warm orangey brown. 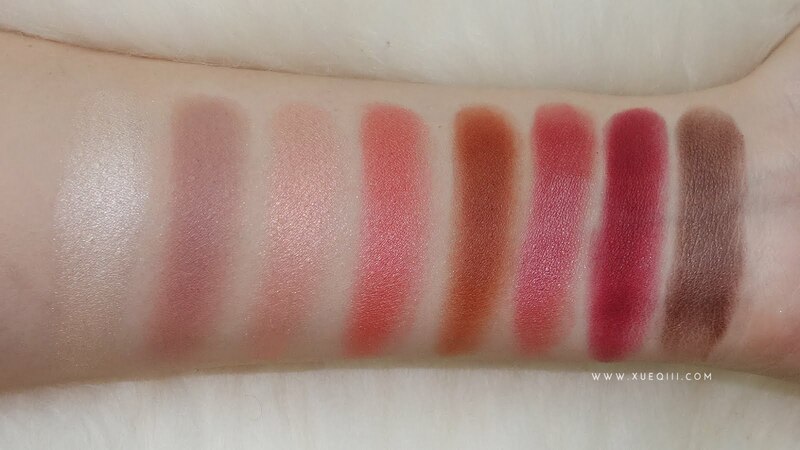 This is one of my favourite matte shades - super buttery and smooth and easy to blend out. New-Tral is a deep berry pink with a satin finish. 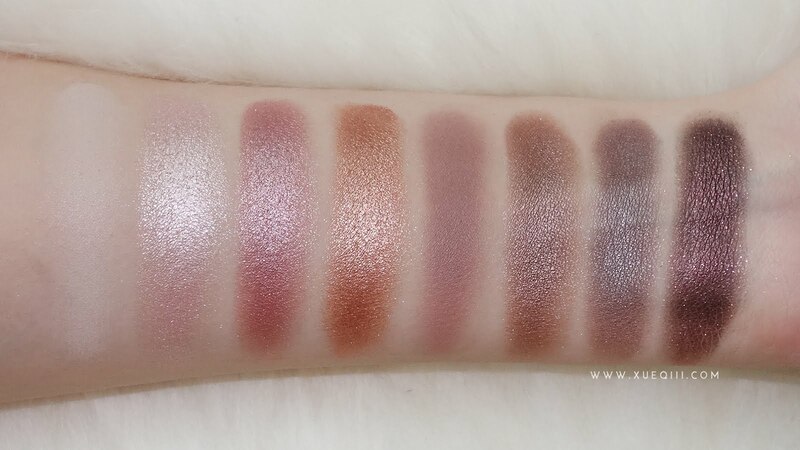 Another great quality shadow that is a dream to work with. Tone is matte dark burgundy shade. 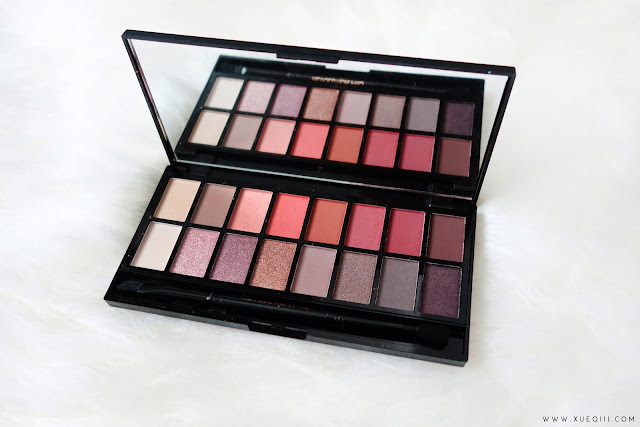 Super pigmented and creamy! Another favourite shade. 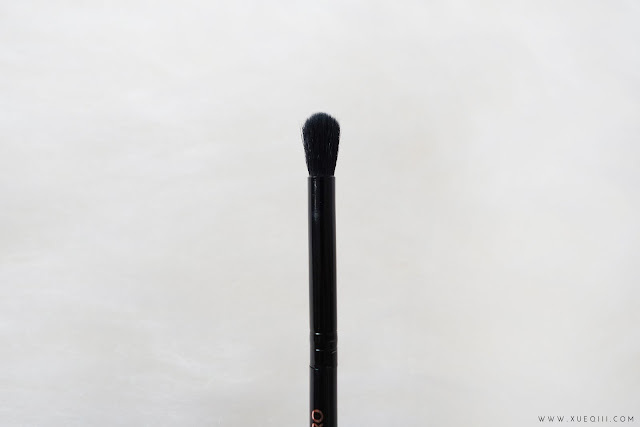 This is perfect to blend and darken the outer corner. Custom is a matte dark brown. 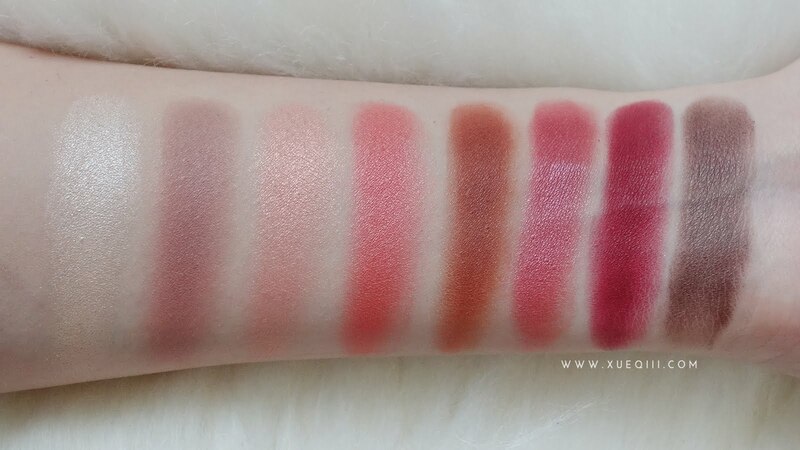 Like Personal, this has poor pigmentation and I had to do so many layers to get the swatch below. 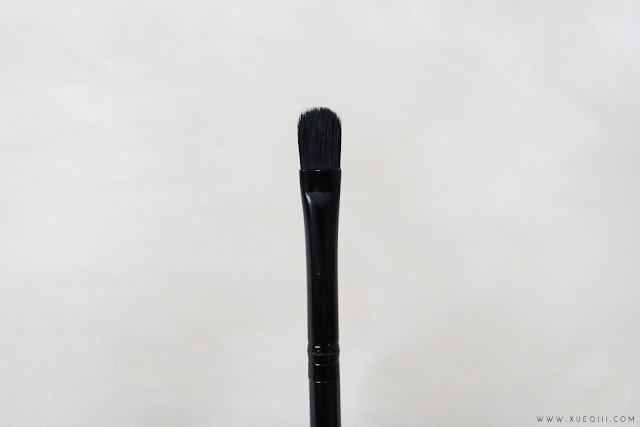 I guess it doesn't mean it is a bad thing - this can be great for beginners to slowly build up the darker smokey look and avoid getting a muddy eye. This bottom row has more Neutral shades and if you prefer just this row, you can skip on this palette and go for their Iconic 3 Palette which is a great dupe for the Urban Decay Naked 3 - in fact I'm not a big fan of the Naked palettes as compared to some of the other cheaper palettes I own. Cool is a matte bone shade. It is nicely pigmented and I like this shade to set my concealer/primer all over lid and also mixing this together with Bias to highlight my brow bone. Style is a metallic light pink. Very pigmented and creamy - I suggest working slowly with the metallic shades as they can come out in bigger chunks if you pick up the product with too much pressure. But they are easy to blend out. Partial is a metallic rose. Extremely good pigmentation and quality. Mode is a metallic bronzey gold. Like Style and Partial, Mode also has fantastic pigmentation and creamy texture. These 3 shades reminds me of Makeup Geek's Foiled Shadows. Adapt is a matte dusty taupe. Good pigmentation and easy to work with. Buff is shimmery taupe shade. Very nicely pigmented and perfect as an all over the lid shade. Suit is a greyish brown with a satin finish. Pigmented and easy to blend out. Strong is a shimmery black with pink glitters. 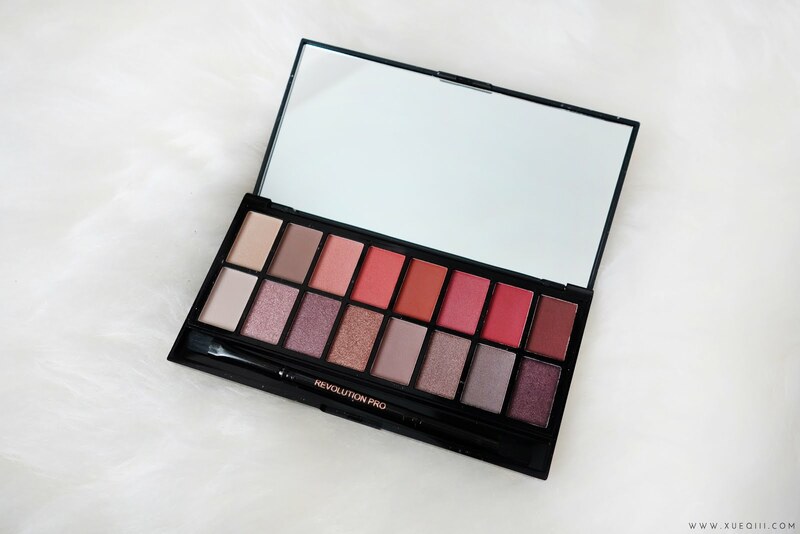 This shade is also very pigmented and creamy. 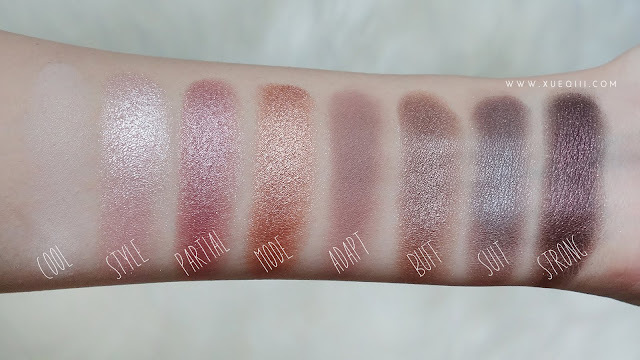 I really recommend this palette for the overall quality of the shadows. Personally if I have had this and other Makeup Revolution palettes earlier, I would totally have not bought my Naked Palettes - so expensive and in my opinion not all the shadows in the S$83 palette has good quality. 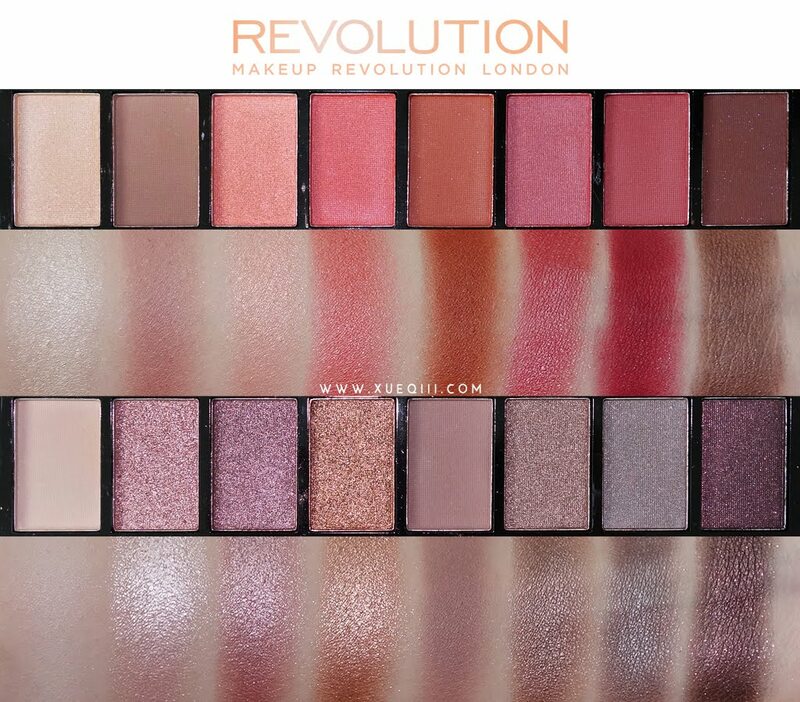 Just give the Makeup Revolution palettes a try and you will not regret! 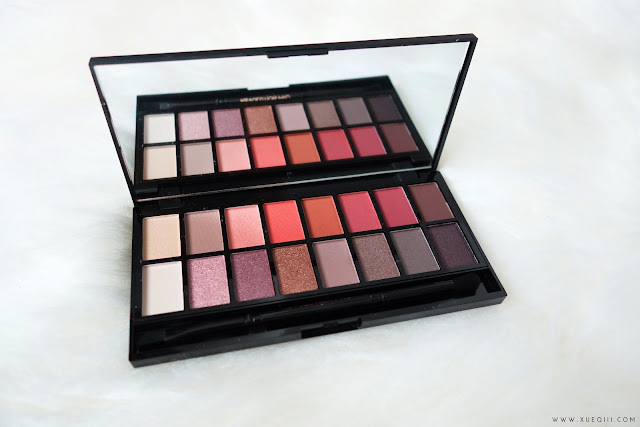 Don't forget to check out the makeup look I did with this palette.